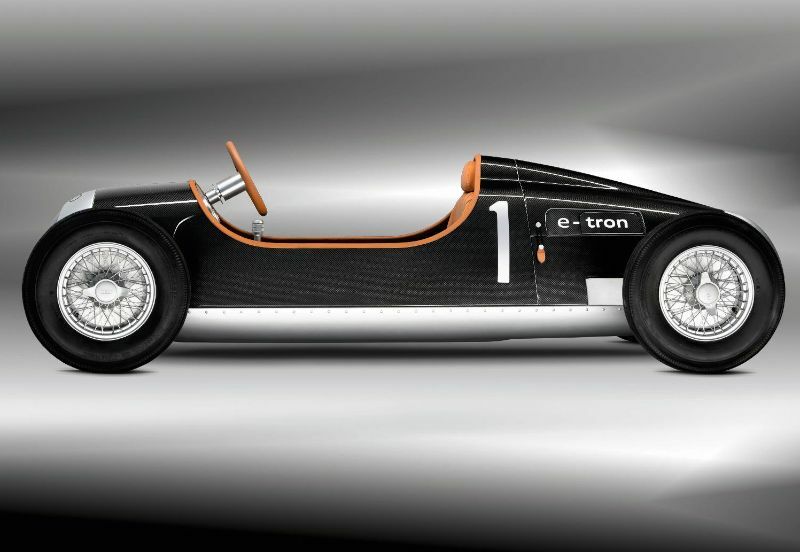 Audi will unveil the latest in its range of e-tron concept studies – an all-electric, 1:2 scale version of the 1936 Auto Union Type C Grand Prix car – at the International Toy Fair in Nuremberg from 3 to 8 February, 2011. 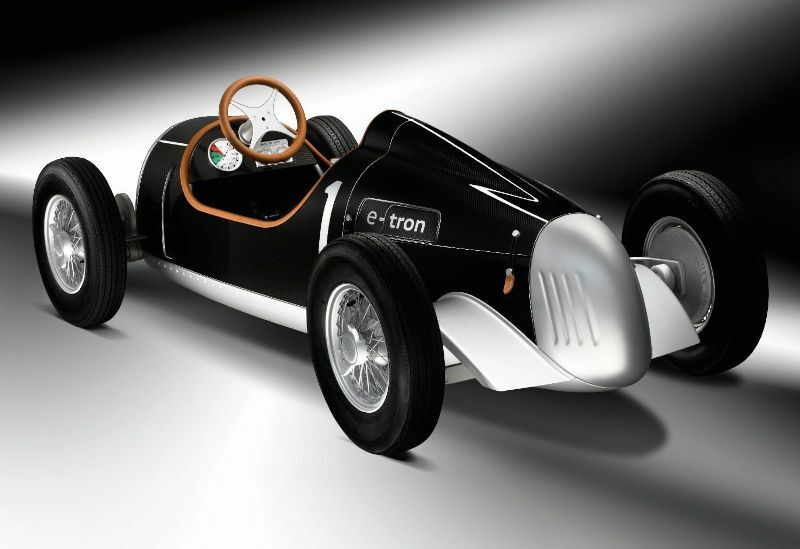 The electrically-propelled reworking of the Thirties racing classic is a half-size model, based on the limited edition pedal car. Its electric motor develops a modest 1.5PS, and a top speed of 18mph. It may not be the sprightliest Audi ever made, but it can cover up to 15 miles on just two hours’ of battery charge from a standard 230V household socket. The body is hand-finished and made from aluminium and carbon-effect material, and at 2.32 m long and 97 cm wide, it’s just 1.12m shorter than the A1, which makes it suitable for children and adults up to 5’11” tall. The 1.5PS electric motor drives the rear wheels, is charged by a lithium-ion battery and can develop as much as 60 Nm (44.25 lb-ft) of torque for short periods. This enables the car to reach a top speed of more than 18mph (30 km/h). The Type C prototype is also equipped with reverse gear. The International Toy Fair in Nuremberg is one of the world’s leading professional exhibitions for toys and leisure products. About 2,600 exhibitors will display their wares from February 3 to 8, 2011. 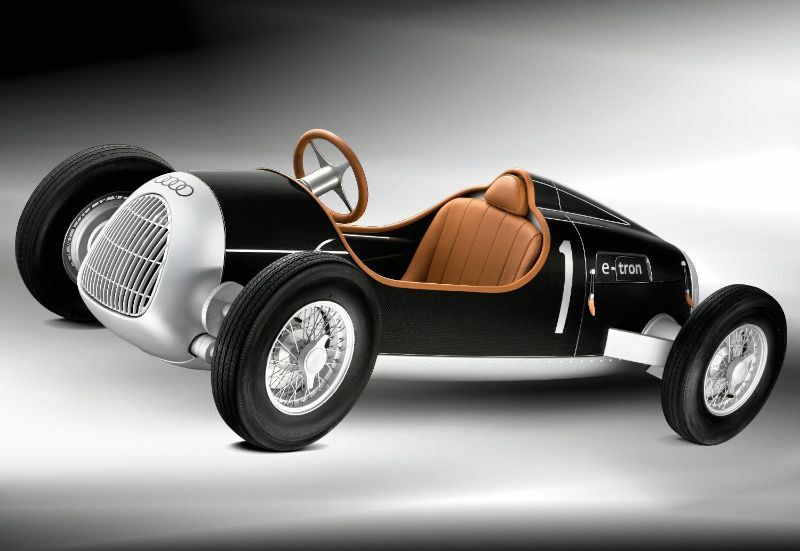 Unfortunately, Audi currently has no plans to offer the Auto Union Type C Electronic Scale Model for sale.